Owners of The Rind put a new spin on pizza. 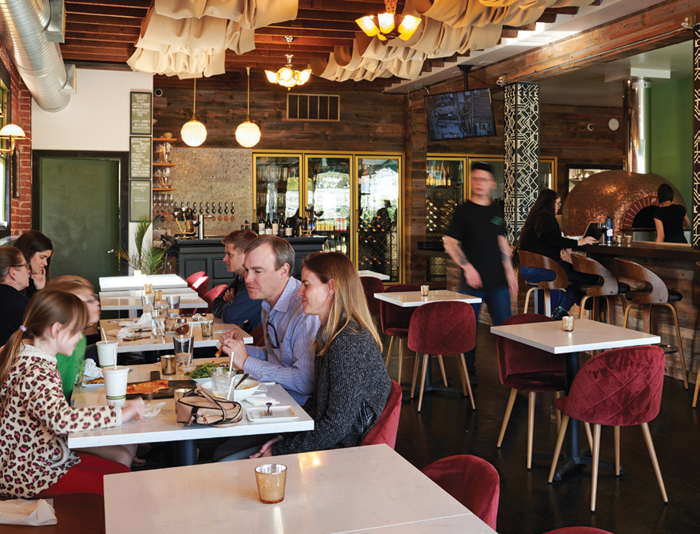 When The Rind opened in 2012, it was Sacramento’s only cheese-focused restaurant. (Still is.) 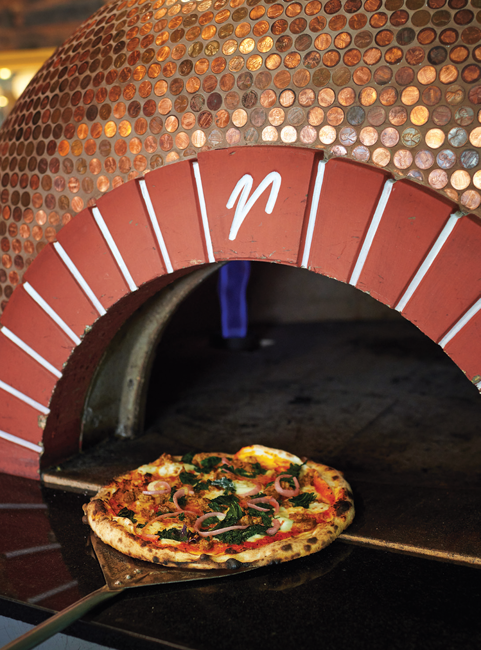 Its owners recently went to the opposite end of the restaurant ubiquity scale, opening La Crosta Pizza Bar in West Sac. 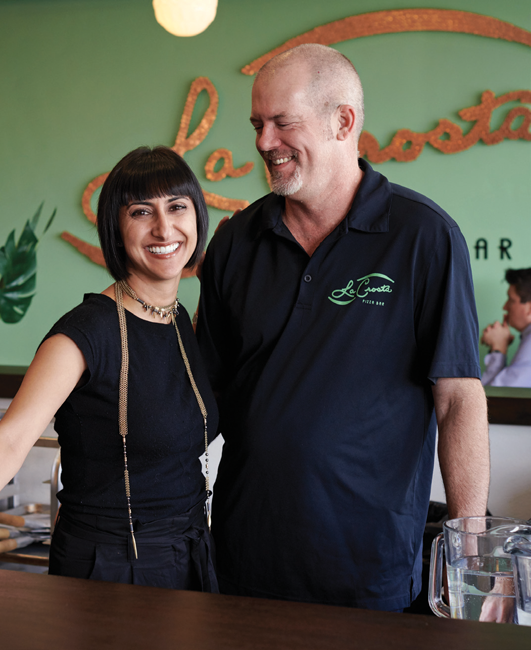 Sara Arbabian and her husband, Steve Tatterson, had been looking at properties to house a second Rind when they were recruited by local developer Bay Miry to take over a restaurant space that he envisioned as a pizzeria. It seemed like a good fit with the neighboring businesses, including Burgers and Brew, Identity Coffees and Devil May Care, an artisanal ice cream shop. After running The Rind for six years, Arbabian and Tatterson were up for a new challenge. And pizza, after all, isn’t so different from what they were used to doing. After all, what is pizza but a vehicle for cheese? They came up with a punny name: La Crosta is Italian for crust, and la crosta del formaggio is the crust of the cheese—the rind, that is. 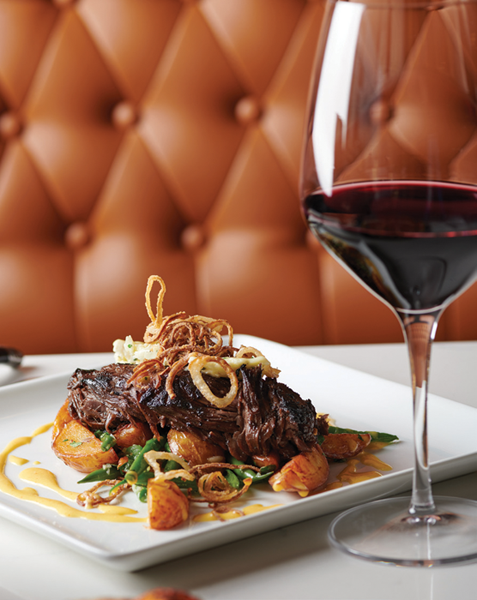 The new restaurant is a big step up for the couple in terms of size, investment and complexity. It’s about three times as big as The Rind, and executing the menu is about three times as difficult, says Arbabian. While pizza takes center stage here, La Crosta also serves ambitious entrees and piadine (warm flatbread sandwiches), along with a nice selection of wines and craft beers. The Sonny pizza, with fennel sausage, pickled red onions and kale. You can sit at the bar and observe the dough being shaped and stretched before it goes into the gas- and wood-fired brick oven. 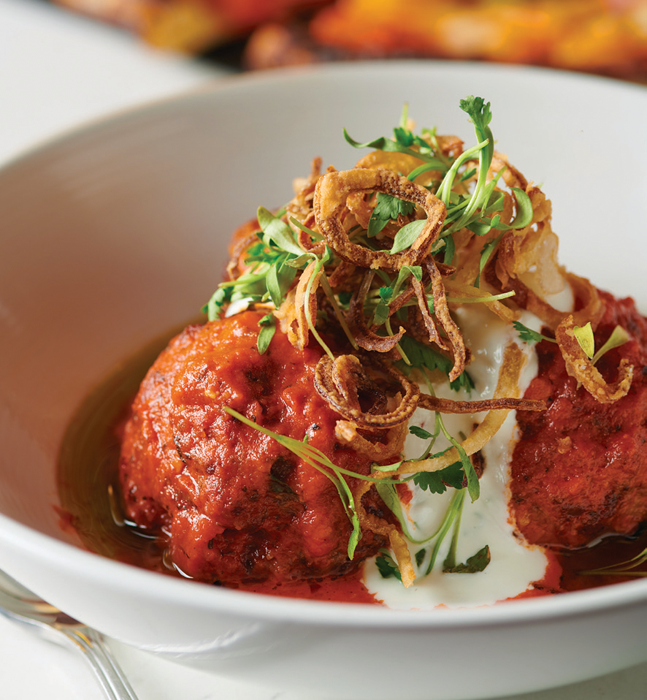 Arbabian wanted diners to feel like they’re watching a show on the Cooking Channel. The crust is true to the Neapolitan style: thin, blistered and spotted from the heat, crispy but with a bit of chew. Toppings, however, are less traditional. The Margarita-ish pizza is cheesier and herbier than the classic margherita, with cherry tomatoes (not San Marzanos), extra mozz, oregano and a sprinkling of basil oil on the crust. The Seafood is a take on New England-style pizza, with white sauce, scallops, clams, rock shrimp and piquillo pepper remoulade. Then there’s The Family, made with salami, pineapple, jalapeño and a trio of cheeses: cheddar, mozzarella and Grana Padano. It’s a nod to a favorite pizza of Arbabian’s uncle and cousin. A piadina is a cross between a pita and a quesadilla. Here, it’s filled with things such as cheese, hummus or pulled pork. While The Rind doesn’t serve meat, La Crosta compensates with entrees such as hanger steak, chicken smothered in coconut curry sauce and a hefty pork chop. There are a couple of pastas on the menu as well. Most everything is made in-house, from the pizza croutons in the smoked Caesar salad to the ranch sauce, available for pizza heads who like to dip their crust. For dessert, pizza beignets coated in sugar, cinnamon, cocoa powder and guajillo powder are served with bourbon caramel sauce. Tatterson oversees the beer selection, with 11 taps and a fridge full of bottles. Local brewers Bike Dog, Jackrabbit and Berryessa Brewing have their own handles. And there are plenty of options for IPA-loving Sacramentans. While La Crosta is a new-school pizza bar, it has one old-school touch: a Pac-Man table in the back.